An overhauled channels business and an effective BBC Store. 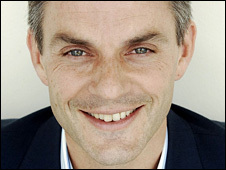 giving UK consumers the chance to buy, watch and keep a selection of BBC programmes, are at the heart of the strategy for BBC Worldwide – the main commercial arm of the BBC – according to the unit’s CEO Tim Davie. Addressing the Broadcasting Press Guild, Davie expanded on policy initiatives announced mid-October 2013, suggesting that BBC Worldwide was a bit more complicated than being typified as just the sales and distribution arm of the BBC. “Worldwide sits across the broadcast value chain,” he explained. Highlighting BBC Worldwide’s American activities, Davie said that it had “a small big business”. Although very successful, in terms of scale, it needed to grow, and in general, Davie conceded that the channels business was under-exploited and needed to grow. BBC Worldwide’s strategy was not to acquire other trademarks, it was focused on BBC Intellectual Property (IP).”The thing that drives this business more than anything else is content,” he stated, conforming that BBC Worldwide would continue investing in content. “Strategically, what we’re deploying is not dependent on any platform or payment mechanic,” he said, adding that his long-term vision was that BBC Worldwide would be driven by consumer needs, i.e., whether the consumer wanted to acquire the content via SVoD or Download To Own. He said that BBC Worldwide also needed to make some choices around strategy around digital platforms and digital innovation. Targeting over £200 million in content investment for 2014/15 – a double digit increase – Davie revealed a number of programme investments, including Intruders, a BBC America original series produced by BBC Worldwide Productions. He said that more distinctively BBC and more distinctively British programmes such as the finest Natural History shows and Sherlock were “absolutely” funded by BBC Worldwide investment on the basis of spreadsheets that look at global potential of those titles. In terms of the BBC’s channels strategy internationally, Davie said there would be a focus on areas of outstanding strength. “It’s a classic ‘play to your advantages’ strategy,” he admitted. Channels would be piloted in a number of lead markets. One such channel,BBC First, would be offered in Australia in conjunction with pay-TV partner Foxtel, and primarily feature drama. BBC Earth, already a branded block on BBC America, was the subject of a shared ambition between BBC Worldwide and BBC Television to be brought to life on both bbc.co.uk and bbc.com. A third brand under development was what Davie suggested was a factual entertainment, male-skewed channel – BBC Brit . The roll-out of the new brands will take place on a market-by-market basis, with all three expected to launch in the coming financial year. Having announced in October 2013 that the existing trial of the global iPlayer app, testing in 16 countries, would not be extended to any new markets, with the service being integrated into BBC.com over time, Davie confirmed that BBC Worldwide was to be the commercial operator of BBC Store, on behalf of the BBC, if plans for its launch were approved, and that it was currently testing the consumer proposition. BBC Store would offer UK consumers the opportunity to buy, watch and keep content in a digital format. The new commercial service would make available a wider range of older content than ever before, alongside more recent programmes. For international audiences, Davie added that the annual subscription offer for BBC Global iPlayer had come to an end, signalling the start of plans to incorporate the BBC’s long-form video player into bbc.com over time. This may need approval from the BBC Trust,“hopefully within a couple of months,” he suggested.